Climate change continues to be the subject of much debate in certain sections of the media and the world, despite the proliferation of evidence that supports both rapid climate change and the human role in driving it. As these two NOS states, and as we learn in TOK, claims must be assessed and their evidence evaluated to determine their truth. The best place to begin is to explore the website for the Intergovernmental Panel on Climate Change (IPCC), the global body that synthesises the climate research and produces reports at intervals of 5-6 years. The Fifth Assessment Report was published between September 2013 and November 2014. The reports are provided in PDF and can be daunting! However, the Summary for Policymakers provides a nice overview of the main results of the review, including details on greenhouse gas emissions, temperature change, ocean acidification, snow and ice cover and changes in animal and plant behaviour and life-cycles. A good activity for the students is adapted from Stephen Taylor’s page at i-biology. 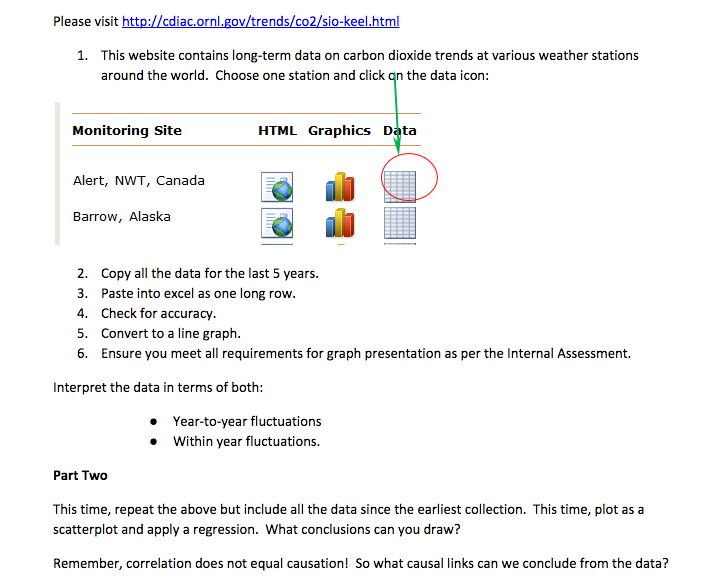 Students can access a range of different databases from the CDIAC to examine carbon emissions. I have the students collect data for both the last 5 years and for the entirety of the database they have chosen. The longer the database, the more clearly the trend is displayed. Students can then practice their graphing and analysis skills using spreadsheets. With the new IA Guidelines allowing for database analysis, this could be a good starting point for an investigation. We finished our sequence of classes with a great discussion on the precautionary principle. This is no longer explicitly required in the new syllabus but has great links to TOK and also to the idea of verifying data. We used the Visible Thinking Truth Routine – Claim, Support, Question– to examine two different articles with an opposing view of the PP. 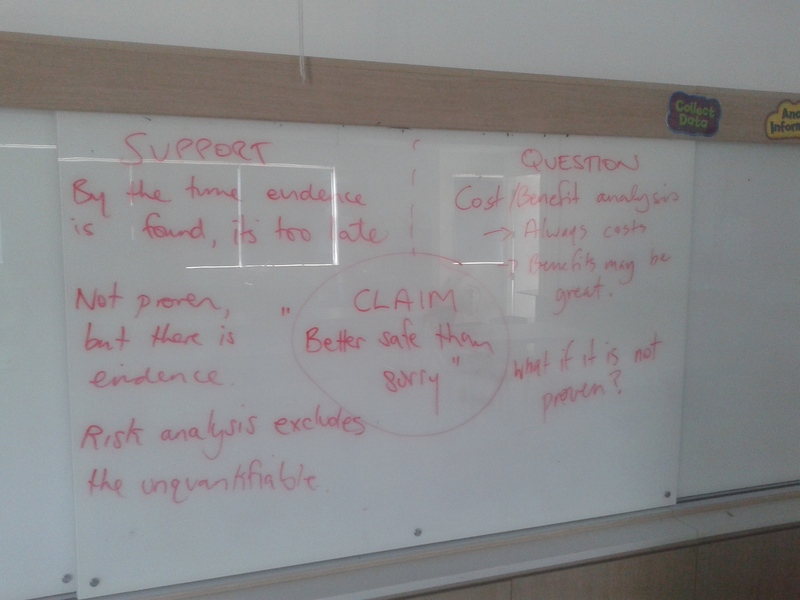 We ended up debating what certainty level is required for proof in the natural sciences – a nice end to the topic. “Carbon Cycle.” BioNinja, 2017, http://www.ib.bioninja.com.au/standard-level/topic-4-ecology/43-carbon-cycling/carbon-cycle.html.